Biogas storage system-AMD series 1. Membrane holder located on fermenter as a dome; 2. Half-Spherical shape with double layers; 3. Outer layer is for protection and inner layer is for biogas storage; 4. Be good for snow melting and rain drainage, suitable for rainy and snowy area; 5. Design 5 capacity of IR detector to control the position of inner membrane biogas holder; Membrane Introduction & features Membrane biogas storage system (tank, bag, box etc. ) comes from Euro, and which has been widely used in western countries. 1. The fire protection grade reaches the Euro-standard B; 2. Antistatic, uvioresistant, anti-aging, anti-acid, anti-corrosion; 3. High-strengthen, high-elastic synthetic engineering membrane; 4. Lifespan is at least 15 years; Fundamental consist of this system 1. 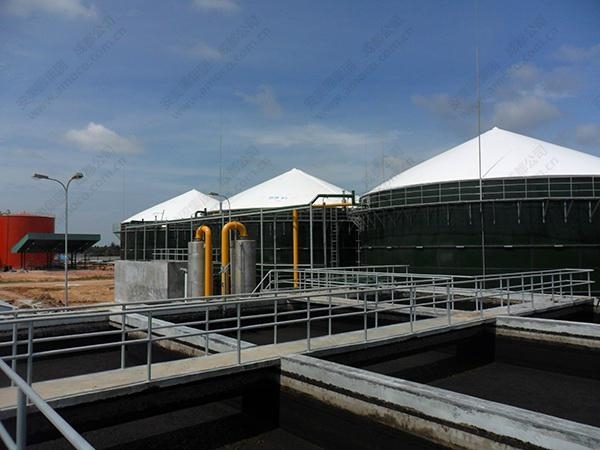 Main material: Biogas special-used membrane material is made of highly tear-resistant polyester fabrics and generally it can be divided into inner membrane and outer membrane. Detailed information, please call us. 2. Gas in and out system: Standard pipeline 3. Boost pump: Make to order 4. Observation window: Standard stainless steel 5. Probing system: Make to order 6. Auto-control system: Make to order 7. Alarming system: Make to order 8. Display system: Make to order 9. Security: Safe by water seal and electric decompression 10. Functional tank: Different kinds of metal materials 11. Different kinds of pipe lines, valves and sealing 12. System lifespan is at least 20 years.